Staying Alive is the single that names the second album from Calum Heaslip. We are very proud to present the videoclip we made for a such important song from the last album of Calum, especially considering that this album has already reached the top 3 sales in Spain. 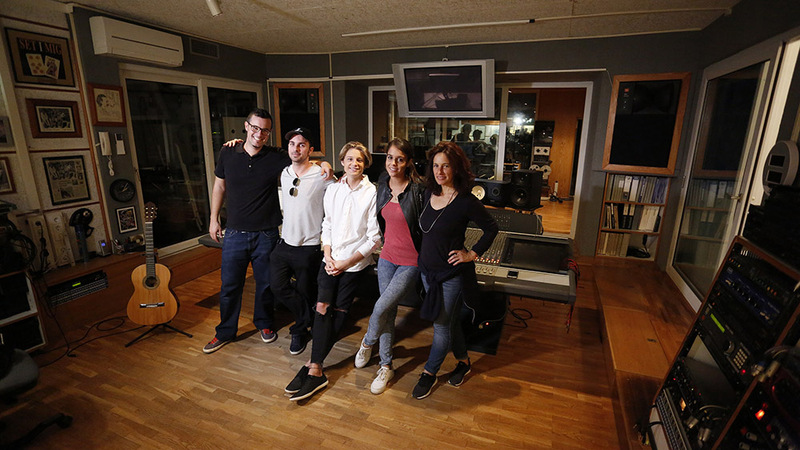 The videoclip of Staying Alive, starring Laura Parejo and the Mallorcan artist, was shot at the Digitals Pro studio in Mallorca. Staying Alive is an intimate videoclip about Calum’s artistic career and his relationship with music; in this videoclip Calum Heaslip opens his heart to show us a more personal side. This is the first videoclip we made for Calum Heaslip and we want to thank the artist and his managers at Pep’s records for their confidence in our team. We can not forget Dani Mota and Joana García who helped us get the shoot, thank you all for making this video possible! Staying Alive is a personal song that deserved an elegant music video, we are very happy with the result and we hope that Calum continues to reap success in his musical career. He deserves it. Do not hesitate to follow Calum Heaslip in his Official Facebook page! Some of our video clips are being distributed by major record labels, in the case of Staying Alive is Universal the company that takes care of it via Calum’s new VEVO channel. If you have a band and you are thinking of making a videoclip in Mallorca, do not hesitate to have a look at our video clips page and contact us without any commitment!